The Winged Victory of Samothrace is without doubt one of the most spectacular and accomplished expressions of Greek sculpture from the Hellenistic period. Why, then, restore it now? In spite of its intrinsic beauty, the monument has not been immune to the passage of time and its presentation has been called into question by recent developments in archaeological research. Since it first arrived at the Louvre in 1864, it has been the object of three restoration campaigns. Today, the restoration of an ancient sculpture comprises an encounter with the artistic genius of the ancients; the restoration of a Greek sculpture completed during the nineteenth century necessitates taking the work’s second life into account; the restoration of a masterpiece in the Louvre means bearing in mind the deep affection everyone feels for it. Restoring the Winged Victory of Samothrace involved all three considerations. It seemed imperative that an account of this voyage deep into the heart of the work, this most exhilarating of enterprises, should be revealed to the public. The present work does just that, as well as presenting the monument of the Winged Victory in its ancient setting on the island of Samothrace: in the Sanctuary of the Great Gods where it was dedicated. 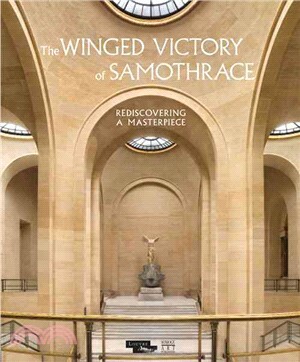 The book also provides the public with the keys necessary for fully appreciating the Winged Victory of Samothrace and thus building on the viewer’s initial intense emotion. Who is this Victory in virtuoso drapery? Why does she stand on an impressive base in the shape of a ship’s prow? Finally, the book reveals a number of well-hidden technical secrets, which cannot but compel our admiration. Jean-Luc Martinez is the President-Director of the Musee du Louvre, and was for a time Director of the Department of Greek, Etruscan and Roman Antiquities at the Louvre.